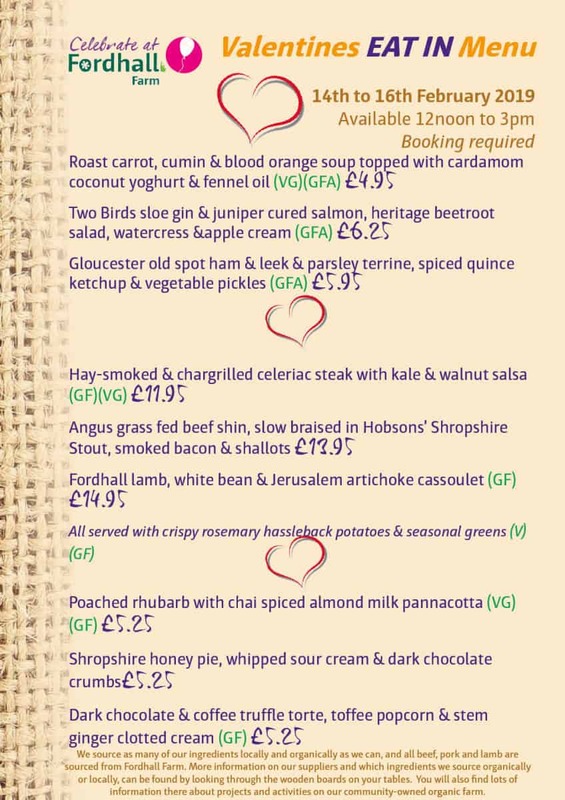 Treat that someone special this Valentines with a delicious meal loving prepared for you by Head chef Nic using locally sourced and organic produce. 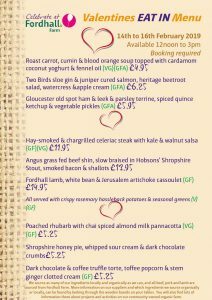 You can dine in with us between 12.00 and 3.00pm on February 14th, 15th and 16th ordering from our special a la carte menu. 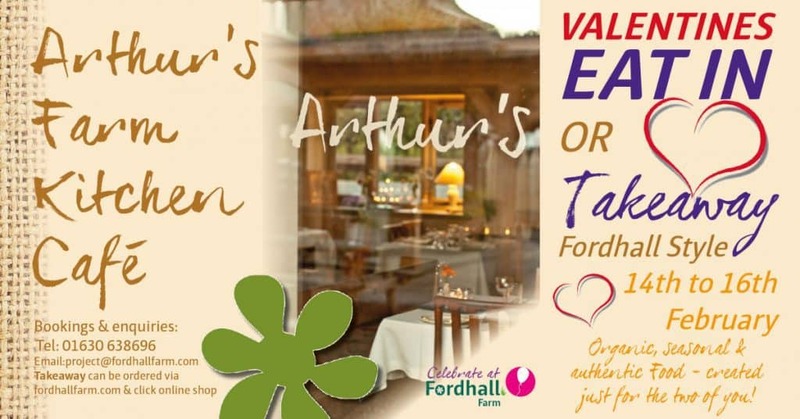 Book your table by calling us on 01630 638696 or email project@fordhallfarm.com. 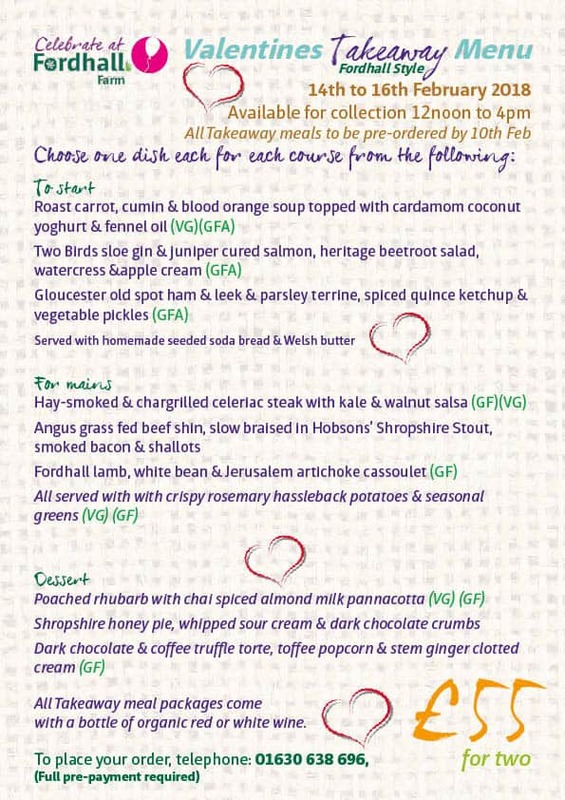 If you prefer a cosy night in at home we are offering the menu as a takeaway, carefully packaged and labelled for you to heat up at your leisure. 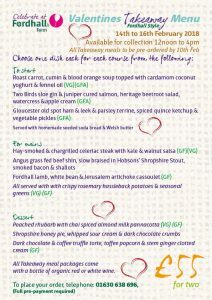 The takeaway package is £55.00 including a 3 course meal for two people and a bottle of wine. This is also available on 14th, 15th and 16th February and collection must be made between 12.00 midday and 4.00pm on your chosen day. Bookings can be made by calling us on 01630 638696, email project@fordhallfarm.com or follow the ticket link on this event listing to book now via the online shop!